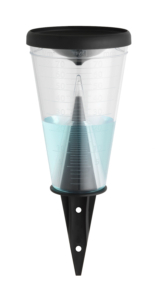 A practical rain gauge for easy and accurate determination of precipitation amounts, made of high-grade and stable plastic. 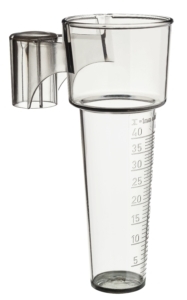 In order for the result to be as accurate as possible, the rain gauge should be placed on a suitable rod at a height of about one meter above ground. It should stand upright and free from obstructions such as buildings or trees. 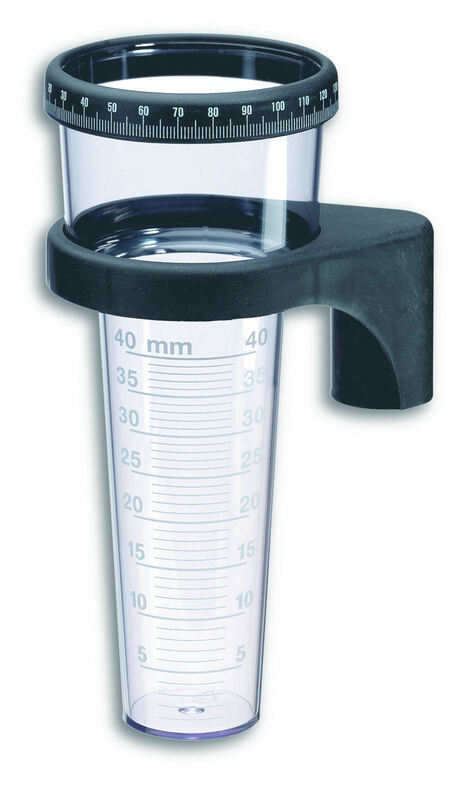 The measuring cylinder can be easily removed from the holder for emptying. 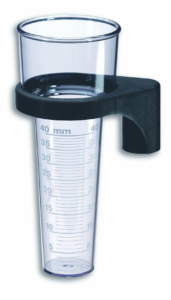 With the patented memory-adjustment ring, you can record your readings and add them up over a longer set period of time. 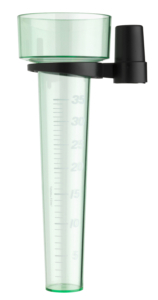 An ideal helper for the garden and agriculture, and for those who want to know more about nature.